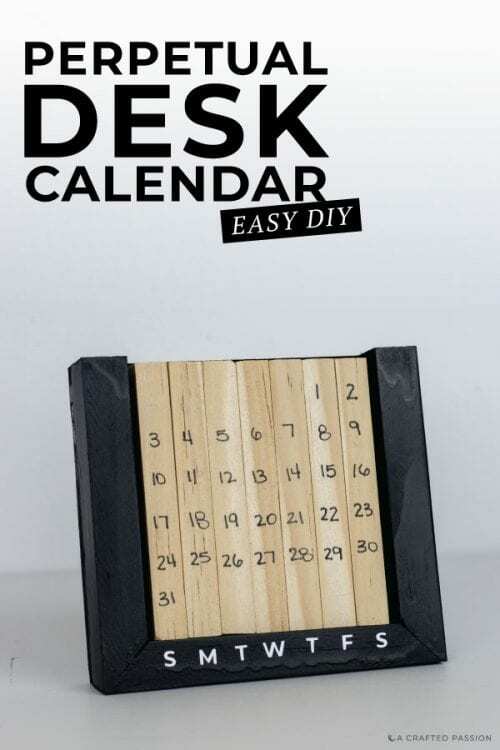 Learn how to make a perpetual desk calendar with this simple DIY tutorial using natural wood blocks. 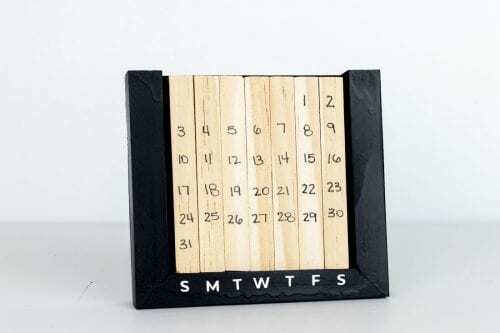 This handmade office decor is perfect to help you always know what day it is. It’s the time of year where we’re starting to think about calendars again and needing to decide between a wall calendar or desk calendar or inspirational or photos of the kids or….. But what if you didn’t have to decide each year? 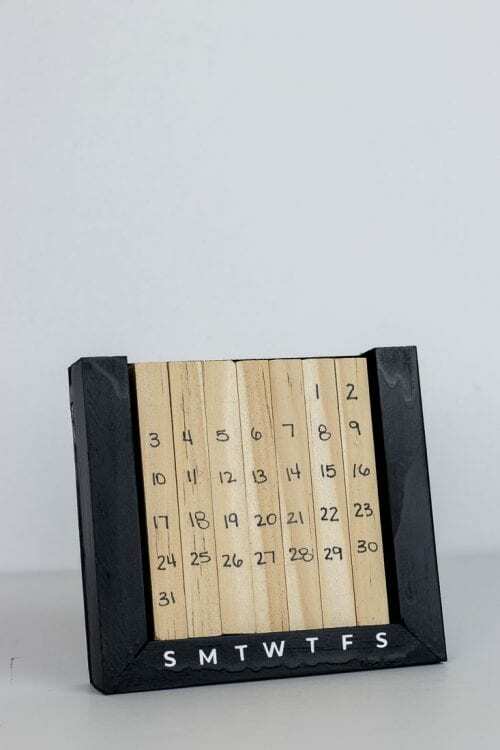 This perpetual desk calendar is like the best thing since sliced bread. 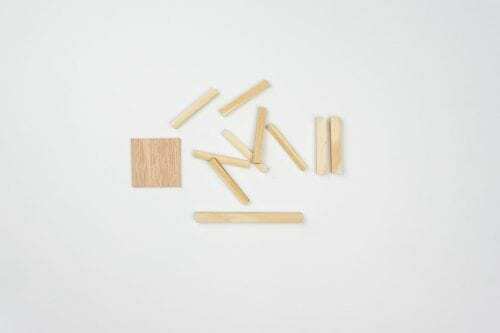 I mean, rotate the square dowels each month and you’re golden. As long as you know what month and year it is…cha-ching. Let me show you how to make your own. And you’re done! 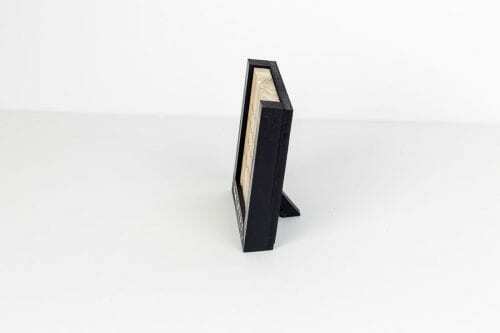 This project is seriously so simple. If you don’t want to handwrite your numbers, you could cut them out with vinyl or buy little stickers from the craft store.